Negative wins refer to wins smaller than the original stake on a bet. Previous studies including large numbers of mandatory trials have shown that negative wins reinforce gambling intensity. 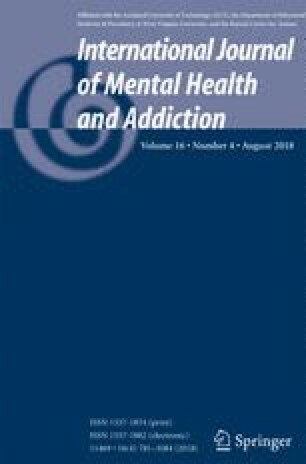 We conducted an experimental investigation of the effect of negative wins on slot machine gambling intensity, game evaluation, and gambling beliefs based on a small number of mandatory trials/games. Participants were 92 (females = 57) undergraduate students (age range = 19 to 31, mean = 21.6, years) randomized to either an experimental (n = 43) or control (n = 49) group. They were instructed to play for a minimum of 50 trials and were each allocated 500 credits for placing bets. Participants in the experimental group were each exposed to a 30% negative win condition whereas the control group participants had no such exposure. All participants completed self-report questionnaires assessing demographic and gambling variables. In contrast to our hypotheses, the groups did not differ significantly on total bet size, mandatory phase (first 50 trials) bet size, number of bets placed after the mandatory phase, bet size variation, and remaining credits after the mandatory phase. Our findings indicate that with a small number of mandatory trials, negative wins do not reinforce gambling intensity, game evaluation, and gambling beliefs. The project received ethical approval from the Regional Committee for Medical and Health Research Ethics in Western Norway (2013/119/REK). All procedures adhered to the Declaration of Helsinki. Participants completed and returned informed consent forms prior to participation in the study.